Q: How did Galassi Bellows production start? A: Galassi was started shortly after the end of World War II in 1948. My father, who was 20 years of age, wanted to open his own business working as an artisan in accordion construction. At that time, things were much easier to start your own business. So he began learning the production of accordion bellows, setting up a working area and after 6 months, he was daring enough to challenge the world with his own bellows production. 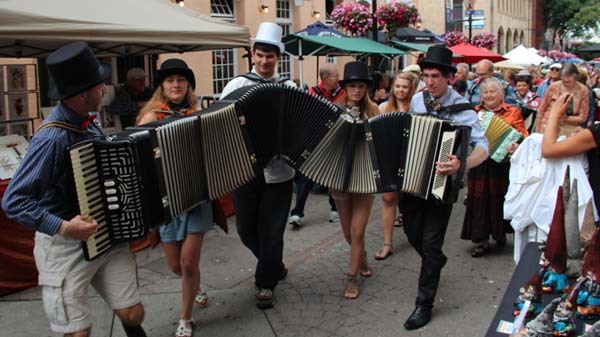 Q: Why did your father choose "bellows" and not something else from the many different parts of accordion production? A: Very simple. He was living here in Osimo Stazione and there were 2 places close by, where they produced bellows and he had easy access. These producers were like most of the producers then, working in the lower floor of the home, the family were living upstairs on the ground floor of the home, so the home was the working production place, which meant "always ready for work, when needed". 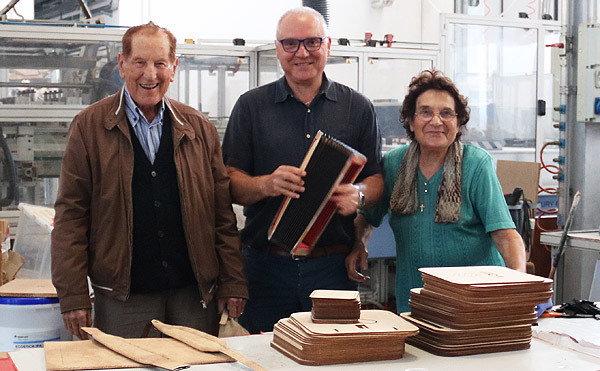 Renzo Galassi with his parents, Rino and Vanda Galassi who began the business in 1948 and even today, work daily in the factory. Q: So YOU Renzo, were living the "Bellows-Life" right from your youngest age, born in 1958 into your home and fathers business, that had already been running for 10 years. A: Yes, I grew up with the smell of carton and glue, and not only that, during our school holidays, at the youngest of ages, my brother and myself, in the summer or in the winter, were helping with little things in the business of my father, where our mother also worked too. During this generation, people (and my parents) would not make any difference working, working, working. Q: Like in many professions there is always 1 piece, that a producer is especially proud of. Do you have such a bellows, that YOU are particularly fond of? A: Not really. I am proud to be curious by nature, which always inspires and encourages me to make new or further research! I like to find myself a goal and follow up until I have found the solution for that goal, and only then, heading on to the next goal. We do not have suppliers that furnish us with a ready product to be applied for our bellows. Therefore we have to research all the time in order to find new ways. We have made a very special bellows for a USA Museum using a transparent material, which was designed for LED wiring and bulbs to allowing lighting from the inside of the bellows. Q: Did you, once grown up, start working immediately as part of the company Galassi Bellows? A: No, during school, I worked with my family as well as after school, so working in the bellows company was my second job, as until the age of about 40, I was employed by a bank. Constantly studying economic systems, I changed my job to become a broker. 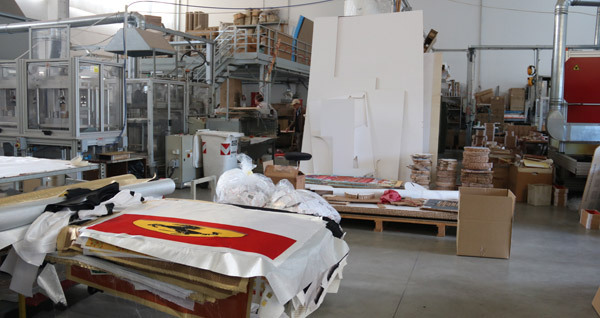 After 10 years of experience as a broker, I presented a project to the bank for enlarging Galassi Bellows to a new and modern factory with essential machinery and technology in order to guarantee a new and more efficient manufacturing production for the expanding types of product being requested by accordion manufacturers and their artists. New production was to be, not like in the past, which was a big quantity of the same type of bellows, but instead, was now changing to be custom made items, ranging from accordion bellows for new style instruments, diatonic bellows, bandoneon bellows with expanding requests for different colors, graphics and different artwork and also lightweight materials. 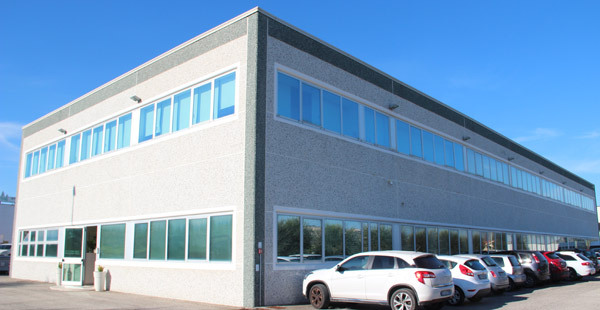 Q: Which meant that you not only started with a new building, but you also invested for new machinery, especially designed and manufactured for Galassi Bellows, a new development for your industry? A: Yes together with engineers we have made a lot of effort to develop a production line able to respond to any client request and at the same time, to streamline the production line, for greater efficiency, shorter production times which furnish our clients with faster delivery. Q: What is the advantages of having automated many steps of bellows production? A: The big advantage of our production machinary and systems, is that we are able to supply bellows in a really short time, as certain procedures like drying (special machinery for this working process), the cutting of materials like the leather (3 laser-water-jets), using the laser (3 big laser options), printing options (5 big printing machines), all allow individual bellows sizes, special custom designs and incredible graphics (of all colors) to be made exclusively in Galassi Bellows production. These results from extensive research, design and technology developments, makes me very proud of our amazing product range abilities and that we are able to satisfy all the needs of our clients, within a short time. In the past, it has happened many times, that if 1 person of the production line was missing, the manufacturing could not be completed. 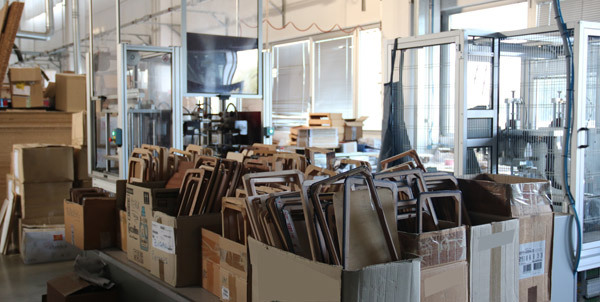 Our potential technology has eliminated these production problems and allows Galassi to satisfy every client, no matter what request, whether 1 or 100 bellows are ordered, to be delivered promptly and exactly as ordered! Q: Do you have your own carton product or do you buy an already finished carton? A: We have researched for years about carton types and we finally created a new bellows carton of less weight and more flexibility. 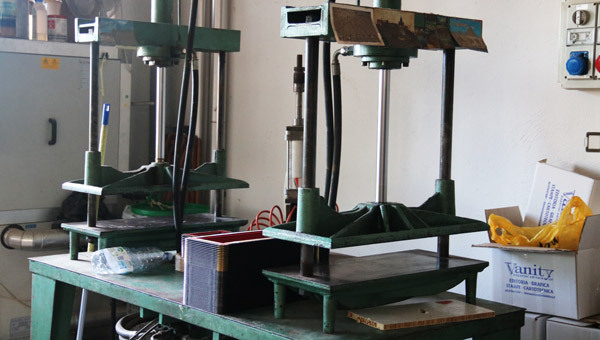 Generally, a bellows for a medium size accordion weighs about 1,6 kg and with the new carton, we have been able to reduce the weight to 1,2 kg which is about a 40 % reduction. This was a very important step for us, as reducing 400 gr in an accordion is of great help, especially for manufacturers wanting to produce light weight models and also for accordionists wanting easier in/out movement and less weight on their left arm when the bellows are fully extended. Q : Did you make other changes in order to manufacture a lighter bellows? A: Not only is the carton new and lighter. We also developed a new glue which spreads more effectively and better attachs the material to the carton. This new glue is easier to apply and also reduces the weight of each bellows. 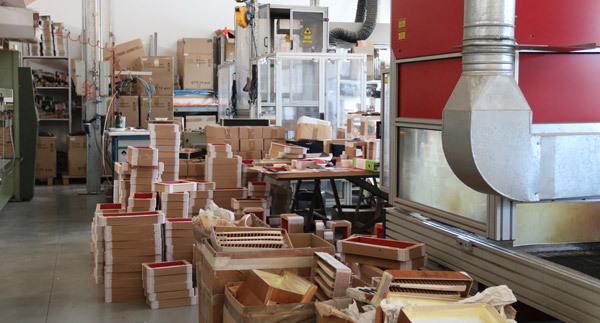 This glue development has been particularly important as many glues from the past, have been subject to new restrictions and safety rules within the European Union (EE). These glue restrictions obliged us to study a new strategy. But a new glue had a different base (water) and when using, a bellows would need much more time for drying. Therefore we have built especially for this reason, a specialist drying machine system. The success of this new system made us very happy of course! Q: What inspired you to change from traditional handycraft manufacture to the new automatisation technology? A: I had the luck to meet several very capable engineers, that together with my passion of creating new things, new technologies, new equipment, these ideas from our family and their know how, enabled us to invent personalized machinery to automate for specific segments of the production process. 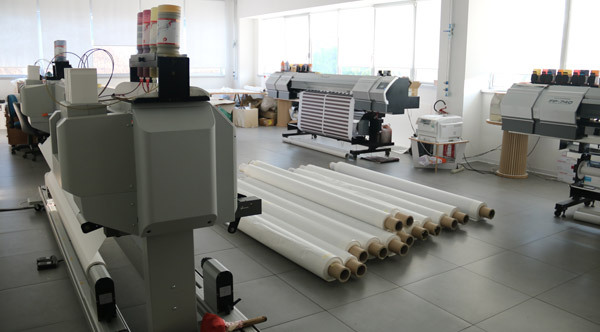 Each machine in our factory has been created by ourselves, we have invested considerable time, to find the right machinery design within the specific required technology, that could be applied directly for that exact production process. Q: Do you see a future for producing bellows in 3D? A: Definitely and I have already made some research in this field. At this time, a realization in 3D has far too high a cost. As for the production of bellows and in this case also accordions, the cost would amount to about a huge amount of Euros. In my opinion, the 3D-printer could easily be used for metal pieces, as is already happening for airplanes, so we can hope, that in a few years, these new 3D manufacturing technologies will become priced much lower and therefore available for smaller accordion related manufacture. 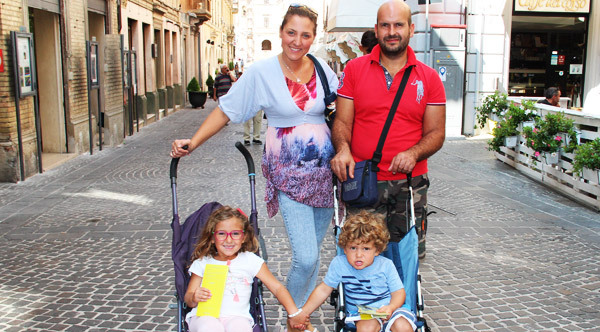 Q: You are married for many years, your wife has never worked in the factory and was always employed elswhere.Â Your parents, your brother Reno (10 years younger than you), your children Valentina (married with 2 lovely kids) and your son Gabriele, are all working with you in the Galassi businesses. 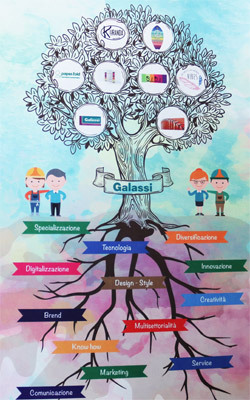 A: We are all collaborating in Galassi Bellows Factory. My daughter is responsible for all the orders/clients and my son Gabriele has studied industrial design. My brother Reno is in the production department and also assisting is my father and mother who are still working every day in the factory, at the age of 89 and 85 years respectively. I am really proud of the family talent and family involvement brings me real satisfaction. Q: We heard, that Galassi 4th generation is giving you and your wife, great pleasure in life? A: Yes, we are overwhelmed, that our daughter has enlarged her family with a girl and a boy! But life has changed and it is no longer, like when I was a child. Now, being in the factory, we have to follow rules and children are no longer allowed to run around, like me and my brother Reno always did when we were young! 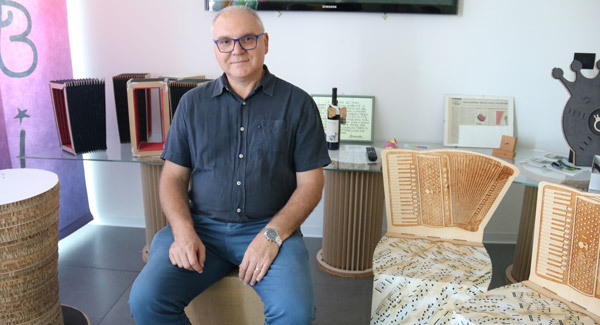 Q: We remember very well, when Accordions Worldwide started 22 years ago, that Galassi Bellows was still working on the ground floor of your big house in Osimo Stazione. Now you are situated here in a very big modern factory producing bellows with the newest technology existing. What does this mean to you? A. It is a very emotional feeling of course, when I think, of the beginning of my working as a very young person, then through the years, until today. There are so many differences today in both the world and in business and also in our factory, applying design and production perfection to our individually crafted bellows, that allow the best quality possible in reduced time! Not only this. During my time working in the industry, we have been investing a lot of time and effort in research. Finding new materials and make endless trials to find out, which could match best, to make a bellows which last, yet have smooth action, light weight and is easy to handle! Q: How were you able to finance such a big structure for a bellows production business? A: In order to receive the benefits and obtain the loans to set up such a big structure like Galassi Bellows, we had to propose projects and work closely with official authorities, especially the projects for machinery and research. No "ready to use" machinery is available. All had to be designed and/or rebuilt then finally adjusted by engineers, for each part of our production process. IDEAS that can be made into a compact "Project", that produces a measurable result. When official institutions and private companies are focusing as a TEAM on important target achievements, exciting developments and positive results are possible. Q: What was a happy moment for you in the family history of Galassi Bellows? A: Without doubt, the realization of our projects "automatisation technology" for the production of bellows. We started with many doubts and fears about the risks, that we might not choose the right machinery, that the machinery might only produce a small result, or a not enough relative to cost. For instance, when we bought the first laser machine, we used it mainly for research as we experimented and tested to find out how best to use the laser technology possibilities. Only with the second laser machine, could we then take the steps, that we needed to create the really positive results. The investment for automatisation technology was very high and failing would have meant a dramatic situation for the future of Galassi Bellows. Fortunately, due to all the extensive work and research, the results of automatisation technology have been a very major success. Q: When you are driving into your new large factory what do you feel? A: We started in 2005 to move into the new structure and I was worried "are we making a step too far ahead", to move into such a big building producing only little things? My focus though, was always: one must have projects, goals and ambition, but all projects must rest with the feet firmly on the floor. Q: You told us, that your children are collaborating in the factory! Does this mean, that you have some "free time" now? A: I am very happy, that I can rely on my childrens collaboration. My son has made a lot of inventions and research for new materials. His university degree in industrial design has led to our business inventing furniture for offices, displays, fairs, made out of bellow cartons. Both my son Gabriele and my daughter Valentina have learned all steps of the bellows manufacture and my brother Reno and my parents also all being active. These factors are giving me freedom and support and yes, also some free time. Time to spend with my 2 grandchildren, of my daughter! 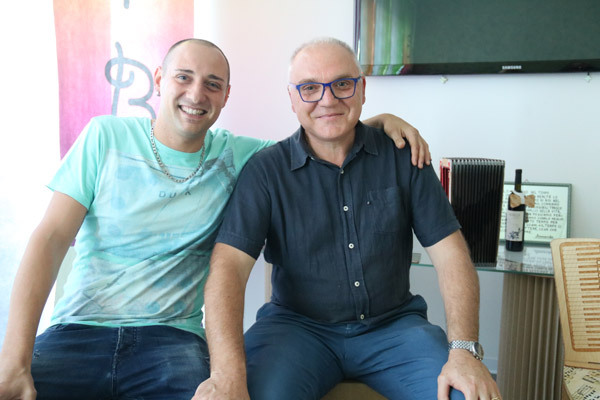 I still have very many projects in my mind, that have yet to be realized and I am very happy to have people around me, that inspire, that encourage client ideas, that are supporting and listening to accordionists challenge our company, with sometimes extraordinary ideas. We thank you ALL. 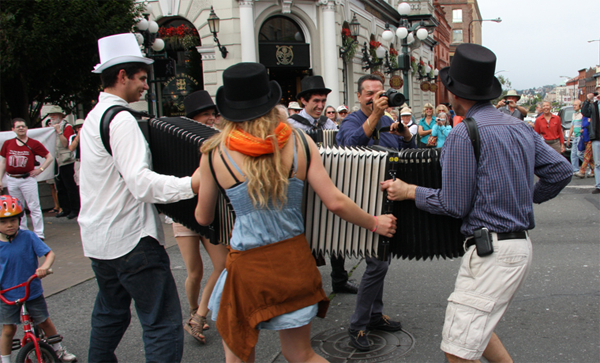 Also, all the best for Accordions Worldwide to continue the extraordinary work of communication within the world of the accordion.